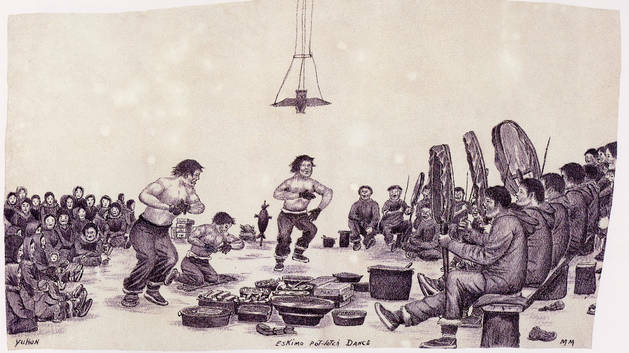 In this depiction of a Yup’ik “potlatch dance,” large bowls in the foreground hold food that will be shared. A bird-shaped dance ornament hangs from the ceiling. Illustration by Yup’ik artist Milo Minock, c1965, courtesy of Jean and Pete Kline, DBC-1.